In a move to curb what in days gone by was a common official perk, the House on Tuesday approved a bill that codifies a ban on taxpayer-funded official portraits of top agency officials. The Eliminating Government-funded Oil-painting (EGO) Act, originally sponsored by Sen. Bill Cassidy, R-La., cleared the chamber by voice vote, but must go back to the Senate for a technical correction before heading to President Trump’s desk. “No funds appropriated or otherwise made available to the federal government may be used to pay for the painting of a portrait of an officer or employee of the federal government, including the president, the vice president, a Member of Congress, the head of an executive agency, or the head of an office of the legislative branch,” the bill reads. 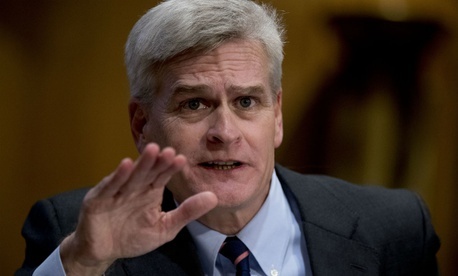 Similar language has been included annually in spending bills since 2014, Cassidy’s staff said. The Congressional Budget Office last year estimated that the bill might save $500,000, assuming the average portrait cost $25,000.